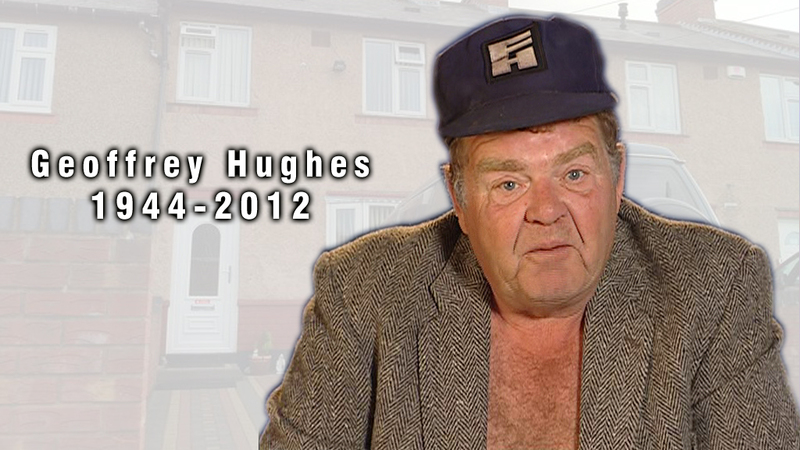 Back in late July of 2012, this fan of Geoffrey Hughes was saddened to learn that he had lost his battle with prostate cancer. He was only 68. Over this past year, we have lost a lot of talented people who made up the British television community but for me, the passing of Geoffrey felt a little more personal. I never met him and to be honest, I really know him best from one program and that is his role of Onslow in Keeping Up Appearances. I guess what makes it so personal for me is the thought of my younger years living at home, watching this series with my mom on weeknights on KTCA. Back then, I was meticulous to record the program on VHS for my own personal library of British television series. It was the mid-1990s and I was living at home and working at a local TV station. I was doing a job that I didn’t really care for and watching these programs on KTCA from 10-11pm every night was a wonderful way to wind down. It was fun to watch it with my Mom because it proved to me that British television was not different from regular television; good comedy was good comedy. Good actors could make good comedy and it didn’t matter what side of the “pond” you were onto watch it. Normally during this period all sorts of series would be played on KTCA but if I was lucky, they would show Are You Being Served? and Keeping Up Appearances one after another each night. There was a reason why my Mom loved Keeping Up Appearances. The series was about a middle-class house wife who felt that they were more important in society than they really were. Hyacinth Bucket (she pronounces it Bouquet but it is Bucket) would do anything in her power to try to be perceived as an influential member of society. In fact, she annoys everyone. She even gets annoyed at the postman for delivering mail to her house using a second class postage stamp! He can try to explain to her it has nothing to do with the post office but she will never listen. Hyacinth reminds my Mom of a member of our family. Not someone in our immediate family but a family member all the same. Now, the member of our family was never, ever as bad as that but Hyacinth was the one who always talked and her husband Richard was the quiet one. Just like these family members. We would affectionately laugh at it. 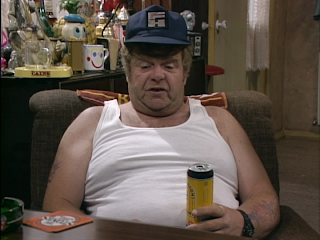 There was someone else in the series who became my favourite character of Keeping Up Appearances, a man by the name of Onslow. Onslow was the brother-in-law of Hyacinth. Hyacinth’s sister Daisy and Onslow don’t really do much with their lives. Onslow sits in front of the television all day eating beer and crisps. Daisy gets him the beer and crisps. They sound horrible but they are not. In fact, they are the most real people in the series. Especially Onslow. It is funny because Keeping Up Appearances creator, Roy Clarke, cites Onslow as his favourite character. One of the things I watched as my tribute to Geoffrey Hughes was a PBS special made long after Keeping Up Appearances came to an end. It was called Life Lessons from Onslow (2007) and it was basically a “best of” program that showed great moments from the series. 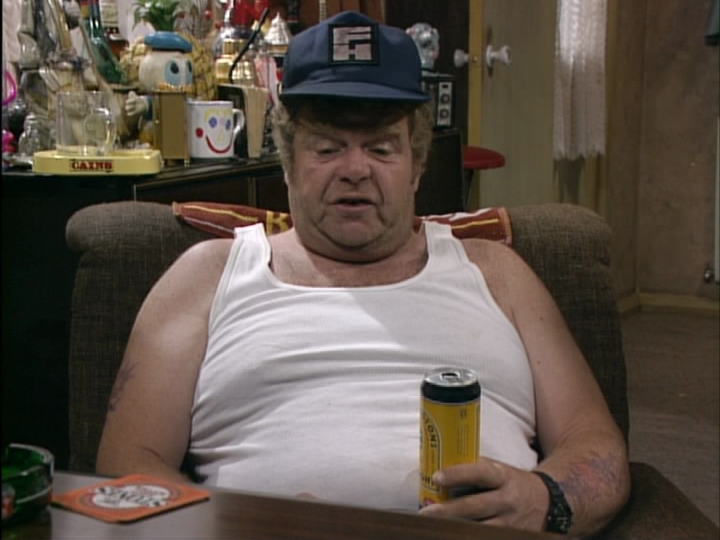 The thing is, I honestly think you could learn a lot from being like Onslow. He may have been a slob but he was himself and he never apologized for it. He was an easy going guy and never had massive ambitions like Hyacinth. He just wanted to enjoy life through the age old process of drinking beer and eating crisps. Everyone else in these episodes are racing around to avoid Hyacinth or stop a comedic catastrophe from happening but there is Onslow, taking everything in stride (or slow motion) and wanting to just pop down to the pub. He can mingle with basically anyone with his laid back personality. He often feels bad for Richard for having to be married to Hyacinth. He is a wonderful character and knowing that the person who brought him to our screens is gone is rather sad. What about Geoffrey Hughes himself? Geoffrey was born in 1944. He had a long list of TV to his credit. Among the series he was in, he was perhaps best known to many in the UK as Eddie Yeats in the soap opera Coronation Street. He is also well known for playing Twiggy in The Royle Family and Vernon Scripps in Heartbeat. Geoffrey was the Honourary Squire of the Dartington Morris Men. He was married to Susan Hughes. What I like to do when someone from a series I enjoy passes away, I like to watch some of the stuff in my collection that is connected with this actor. So obviously, I watched some Keeping Up Appearances but I watched some other things that had him in it. Now, keep in mind that this is not a definitive list of what he appeared in but stuff that was in my collection. The oldest thing I should have in my collection actually doesn’t exist in the BBC archives. I have the series, The Likely Lads, on DVD. Geoffrey appeared in two episodes but as luck would have it, neither of those episodes no longer exist. So the next thing in my collection is the very semi-naughty 1970s series Up Pompeii starring the great Frankie Howerd. This wonderful comedy series which takes place in Pompeii prior to Vesuvius erupting is known best for Frankie Howerd’s portrayal of the slave Lurcio. If you have never seen this but like fun double entendre humour, check it out. Anyway, Geoffrey appears in the first episode of the series (not counting the pilot) called Vestal Virgins playing Piteous. He plays the role with a high pitched voice. He is an aide to another villainous character named Noxious. It has to be said every time those two are on screen, they get very little laughs. Of course, Howerd has the studio audience in stitches especially whenever he breaks character of Lurcio telling the audience that the other actors are getting all the best lines. 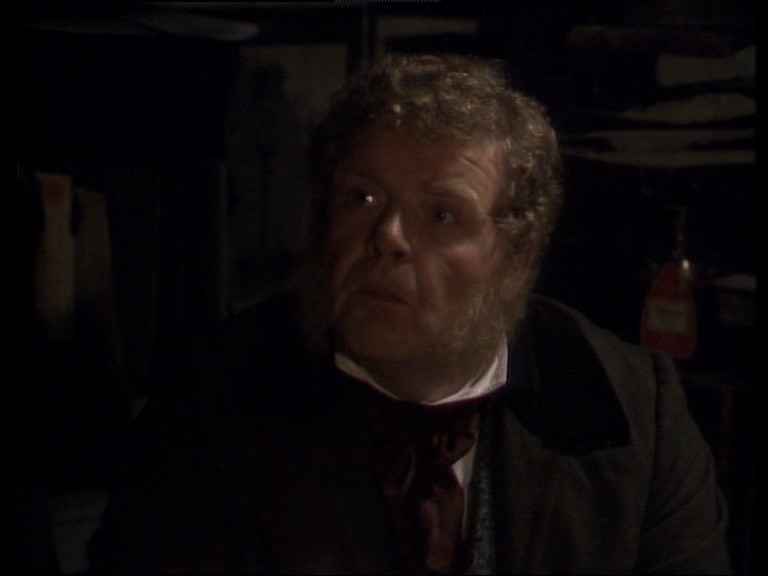 It is interesting to see a young Geoffrey Hughes in this especially with that bizarre high pitched voice. Next up was his appearance in one of the all-time classic BBC comedy series Dad’s Army. The episode was Brain Versus Brawn. He was in it for just a couple of minutes playing the Bridge Corporal. Hardly anything that would be considered comedic acting. The first thing I ever saw him in was Doctor Who. For this being one of my favourite series, I never really write about it. Geoffrey appears as a character named Mr. Popplewick in Part 13 & Part 14 of The Trial of a Timelord. He is a Victorian clerk in a make-believe setting within the Matrix for the Doctor to encounter. What is so interesting about the character of Popplewick is that he is so procedural. There is the proper way to do everything. When Popplewick explains what he needs to do to allow The Doctor to see JJ Chambers (the man the Doctor needs to see while in the Matrix to clear up a whole load of stuff I don’t need to get into here) he explains in the greatest detail all of the process and handling that needs to take place before the Doctor can move onto the next level to be able to see Chambers. In fact there are two Popplewicks! The first one is the junior Mr. Popplewick but there is a more senior Popplewick who is a little more helpful. Even though one if more junior, they both look exactly the same. Geoffrey plays the role of Popplewick as a Victorian gentleman who takes his work as a clerk as a honed craft and deviating from process is to insult the profession. He was one of the more interesting characters from the story. I did not watch this from the DVD but from a version that I was commissioned to make. 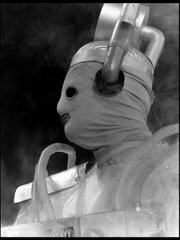 I was given access to different elements such as 71 edits and studio footage that were not on the DVD plus SFX and music to create an extended version of this story. It was meant to be its own story so it was renamed The Ultimate Foe. It was fun and re-watching made me struggle to remember what I added. I guess I was doing something right! After The Ultimate Foe, I watched some Keeping Up Appearances. I went to a Keeping Up Appearances forum to see what some of the people would recommend for watching some good Onslow episodes. Some kind soul gave me his recommendation. Now, the question I have is why is the R1 BBC DVD released by Warner Bros. have episode titles that are so different from the titles listed everywhere else? The gentleman on the forum said I should watch Onslow’s Birthday and A Job for Richard. These are the titles I found on every other episode guide. On the R1 DVD, Onslow’s Birthday is called Cocktails with a Greek Shipping Millionaire and A Job for Richard is known as Hyacinth Tees Off. Changing these episode names tees me off too! It just makes no sense. Maybe they got confused as there are no onscreen titles for this series? I doubt it! Onslow’s Birthday is about how Hyacinth thinks because her other sister Rose is seeing a Greek Shipping Millionaire that this is her time to impress this guy and hopefully be somehow able to climb the social ladder. This all centers around Onslow’s birthday as they all have to go out and stop by to pick up Hyacinth and Richard. This is important because this millionaire has a limousine. Hyacinth is so excited for this that she brings all the influential people she knows around to her house for hor d'oeuvres. The problem is when they finally show up at Hyacinth’s house it’s not in a limousine but a hearse. 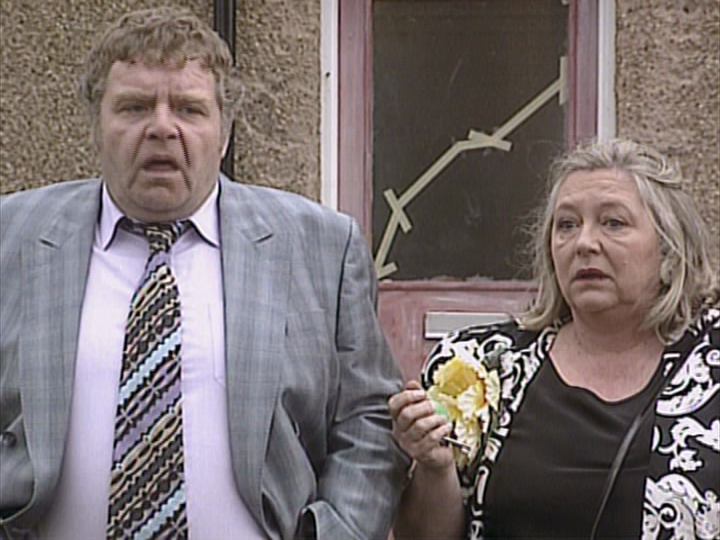 What’s even worse is that Onslow has to dress up in a suit and tie…..on his birthday! In A Job for Richard, Hyacinth sees that there is a Managing Director position opening up a Frosticles frozen food factory. This would be perfect for Richard but he cannot just apply like an ordinary person, Hyacinth has a plan. Richard needs to look dynamic to the head Frosticle himself so Hyancinth has come up with a plan where her and Richard will run into the owner of Frosticles on the golf course. 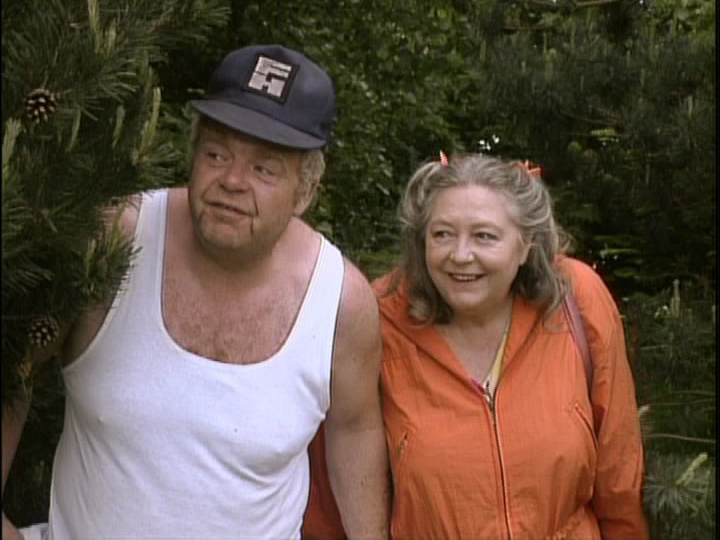 Then, out of the bushes Onslow will come out in his normal attire. Hyacinth will ask Richard to remove that “sinister” man from the golf course thus impressing everyone. Onslow is bigger than Richard so the sight of him strong-arming Onslow out of the golf course is pretty amusing. Of course fun turns to tragedy as the group from Frosticles run into a couple of real bullies and they ask Richard to take care of those unsavory characters too. Richard doesn’t do so well this time. I also viewed the Christmas episode Sea Fever but I wrote about it here back in 2008 so if you are interested in that please check it out. Onslow was a special character created by Roy Clarke but was realized and improved upon by Geoffrey Hughes. Geoffrey looked like someone that was pretty easy going. He had a kind face that, to me, looked like if you saw him you could always buy him a beer. Like so many people who have passed away who were in shows we love, it is sad to see them go but we are left with a body of work that we can enjoy for years and hopefully share with others. It can also bring back memories. There is not one time I don’t watch Keeping Up Appearances and not think about those night time viewing with my Mom back in 1995 and 1996. I will cherish them and Geoffrey Hughes had something to do with it. I will always appreciate that. Next week: I take a look at the first episode of a long-time favourite, Jeeves & Wooster with Bertie and Honoria Glossop. A magnificent show that needs to be viewed immediately if you have not seen it before. Upcoming DVD reviews include Doctor Who: The Ambassadors of Death & The Claws of Axos, Special Branch: Set 1, Midsomer Murders set, and Thomas & Sarah complete series. Plus starting in a week, I start reviewing a movie franchise that has been running for 50 years. For whatever reason, I have never gotten Keeping Up Appearances into my collection. I used to watch it and it was enjoyable enough, but was never the high priority item to purchase. Reading this tribute brought back some fond memories - perhaps I will finally get around to this series. The show is the same virtually every episode. You always know when there will be a Daisy/Onlsow/Rose scene, etc. 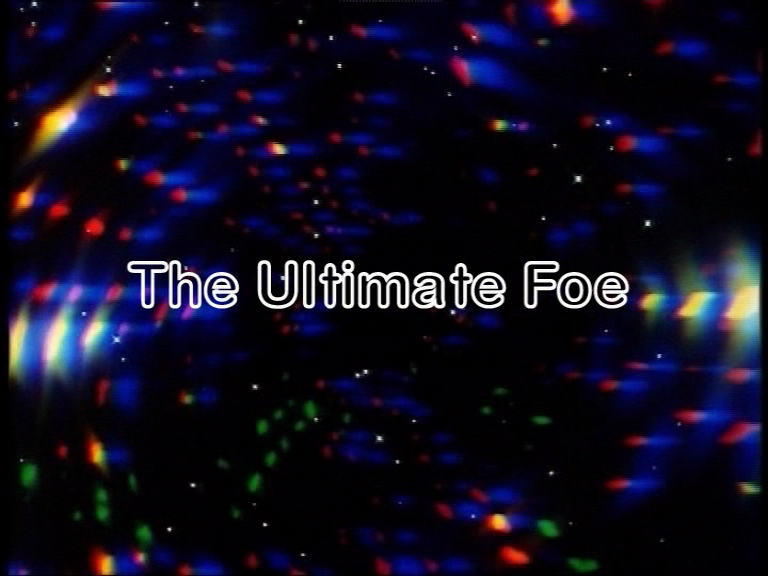 There certainly is a routine to ever episode but yet I still fidn it highly enjoyable.